To honor a team and a city that deserves it, I dusted off this very eventful day in Dead History for your Monday listening. First, congrats to the New Orleans Saints, I am pumped they won as I was rooting for them and they deserved it. I do gotta say that I think sportscasters have gone a bit overboard saying how much the team means to the city, they are certainly important, but lots of NOLA residents I have met over the years couldn't care less about football and just wish people would come back, yet I am sure those same people are enjoying the party going on now, so live it up! "Busted Down on Bourbon St/Set Up Like a Bowling Pin"
While that is all well and good, that song obviously wouldn't show up for a little while (8-18-1970 to be exact) but the songs here have a loose chaotic energy that both New Orleans and The Dead are famous for. It really is a shame that they would so rarely play NOLA after this first bad experience with the city, because had these two clicked something magical could have happened...I am sure of that. The magic in this show is all over the place from the crazy stage banter to the technical problems. Jerry Mentions that "Dire Wolf" is a "Paranoid Fantasy Song" and urges the fans to sing along with this top-notch version of one of Hunter and Garcia's overlooked gems. An explosive "Morning Dew" showing up super early is a dope surprise and along with a spastic "Masons Children" represents the best of the electric playing on this night. I use electric literally there because Phil's bass amp had some sort of voodoo overload and the band did an impromptu acoustic second set heavy with rarely played tunes and country covers. They also cover Bill Monroe's version of "The Old, Old House" (which is wrongly titled "Bound in Memories" on archive...maybe I should let them know), here is a decent version by the East Dixie Boys, not sure who they are, but it is a good pickin' tune. Pigpen also gets into the act with his classic cover of Lightning Hopkins "Katie Mae"
The second set really shows off Bobby Weirs powerful vocals. I will admit it, Bobby is the Dead member that I bust on the most, but while his guitar playing and short jorts can be debated, his voice can not. 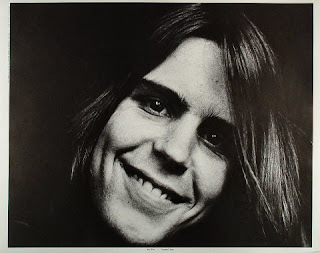 Here, at only about 23 he sounds fantastic, aged yet smooth, Weir posses a great singing style....and that dam goofy smile, I kid I kid...Nice singing Bob. "Obedience to the Law is the Only True Freedom"